Though it sounds like a plot element jacked from a Clockwork Orange-esque, dystopian novel, recent footage has surfaced online of teens participating in the “Hot Water Challenge,” in which they film themselves throwing boiling water on an unsuspecting victim, or pouring it on themselves. If you are a teen reading this: do not do this. Please, seriously, do not inflict serious harm onto yourself or others, especially not for the sake of viral content. Reports of children being injured on the receiving end of the Hot Water Challenge have begun to crop up, with one girl even succumbing to injuries she endured after she was dared to drink boiling water through a straw. The girl, Ki’ari Pope, was 8 years old when she died. This video, which apparently shows someone participating in the Hot Water Challenge, has made rounds across Twitter, Instagram, and Youtube, where it was first shared a year ago. Most recently, an 11-year-old girl from the Bronx was hospitalized after hot water was poured on her face while she slept early Monday morning. A 12-year-old girl is being charged in connection to the incident. Below is a news report with images of the girl’s injuries, which are definitely disturbing. The challenge harkens back to another trend that involves young participants self-harming: the “Blue Whale Challenge”. Like the Hot Water Challenge, the Blue Whale Challenge spread through the internet and has already claimed lives. According to the Burn Foundation, it only takes three seconds for water heated to 140 degrees Fahrenheit to induce a third-degree burn. 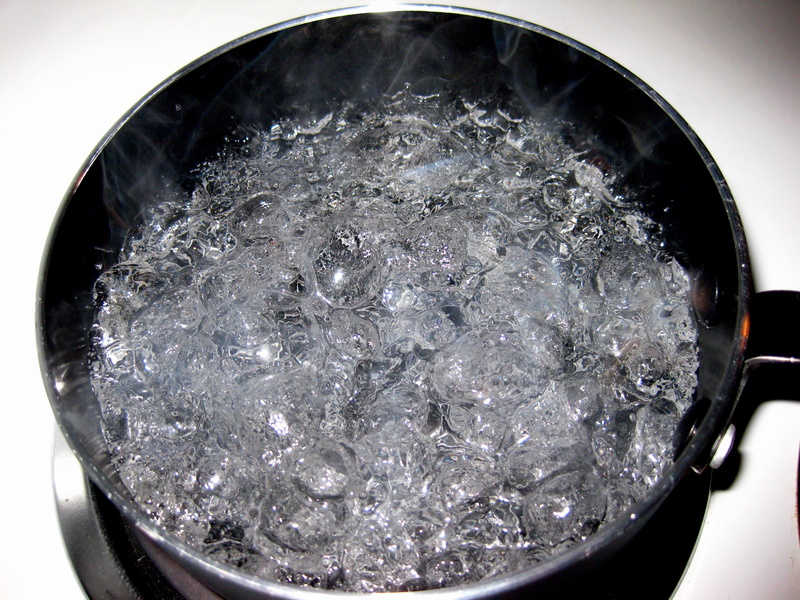 Water’s boiling point is 212 degrees Fahrenheit. One can only hope that increased awareness can help parents prevent kids from participating in the Hot Water Challenge. Because, again, it is so patently bad, and nobody should be doing it.